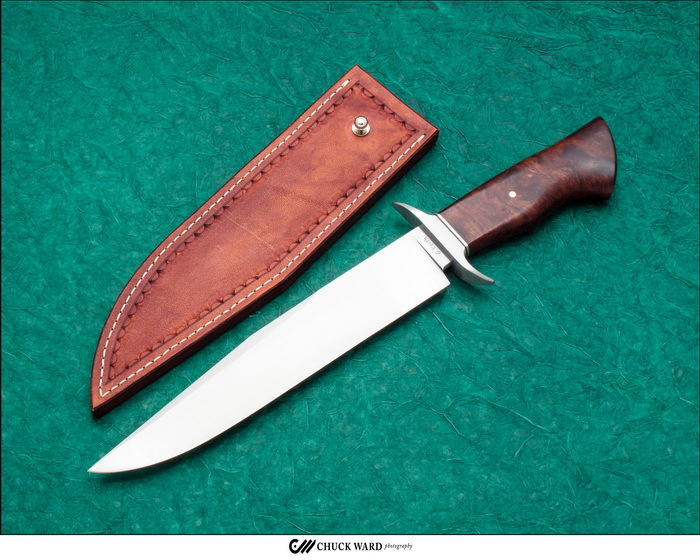 **** Chosen by Winner: Eugene L.
ABS Journeyman Smith Greg Keith has forged a clean and functional Bowie with a 8.75-inch blade of 1084 high carbon steel with a Desert Ironwood handle. A Leather Concealment sheath by maker is included. My name is Greg Keith. I am a full time bladesmith, from Nova Scotia, Canada. I am an accredited Journeyman Smith with the American Bladesmith Society. All of my knives are hand forged from high carbon steel.